WWE Mixed Match Challenge Finals Confirmed For WWE TLC, Updated Card For Sunday's PPV - Wrestling Inc. 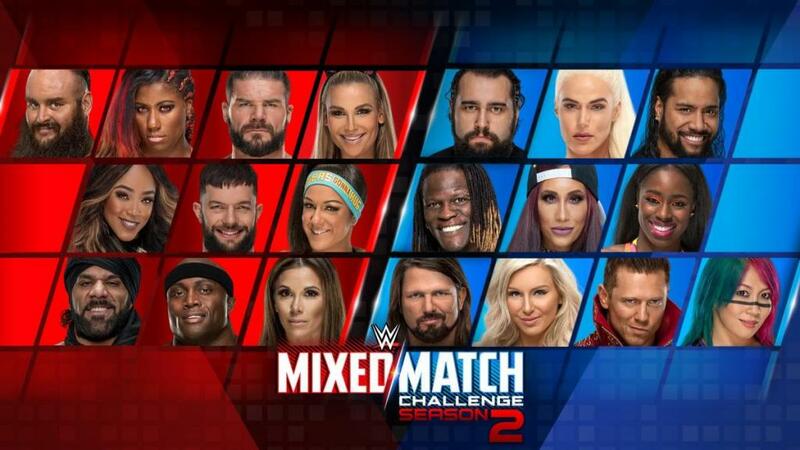 The finals of the WWE Mixed Match Challenge season 2 are now official for Sunday's TLC pay-per-view. It will be R-Truth and Carmella vs. Alicia Fox and Jinder Mahal. Tonight's MMC episode saw Truth and Carmella defeat The Miz and Asuka while Fox and Mahal defeated Bayley and Apollo Crews, who was replacing Finn Balor. Stay tuned as we will have more details on tonight's episode soon. As noted, the winners of Sunday's MMC finals will earn the #30 spots in the men's and women's Royal Rumble matches at the 2019 Royal Rumble pay-per-view, plus a vacation to anywhere in the world, at least in the storylines. Stipulation: Strowman, currently out with an injury, earns a Royal Rumble title shot from WWE Universal Champion Brock Lesnar if he wins. Corbin will be the permanent RAW General Manager if he wins, but he will lose all red brand authority if he loses. Stipulation: Elias' guitar will be hanging above the ring as a weapon.